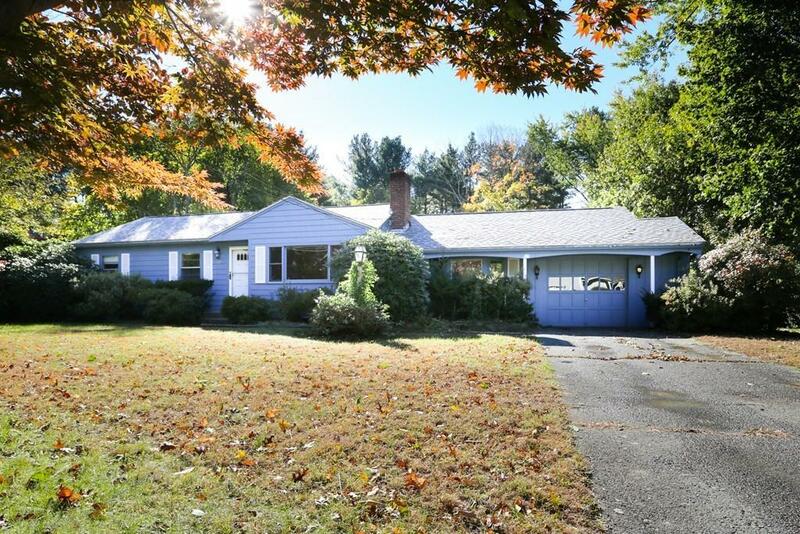 Bring your imagination to this much loved South Sudbury Ranch style home. It has been maintained throughout the years and is looking for it's new owner to make it sparkle again. The home features hardwood flooring throughout with 3 bedrooms, and 1.5 baths and 1 car garage. The formal Living Room with fireplace opens to the Kitchen and Dining area. Just off this is the Family Room with w/w carpeting plus access to the 3 season porch. The lower level features a large Playroom with wood burning stove, and laundry / workshop area. The mature plantings feature specimen trees and perennial gardens that surround the property and adorn the in-ground pool and patio area. The property will be sold in "As Is" condition making no representations.